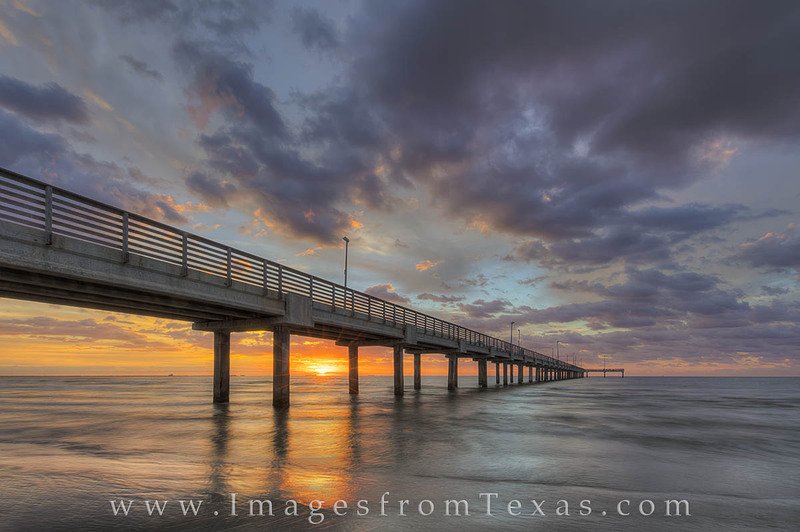 Caldwell Pier along the Port Aransas shoreline is one of my favorite places along the Texas coast to photograph at sunrise. In the fall, the first light of day shines up through the pillars of the pier. With the right weather, the clouds and light can be quite dramatic. And when you are out there for sunrise, you’ll only have to share the beach with the seagulls and sand crabs. Photo © copyright by Rob Greebon.